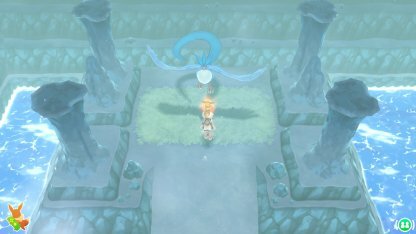 Read this Pokemon Let's Go Pikachu / Eevee guide on how to catch the legendary Pokemon - Articuno. 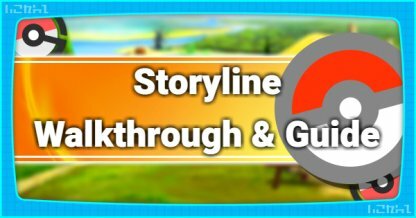 Learn base statistics, location, recommended Pokemon, capture and battle tips! 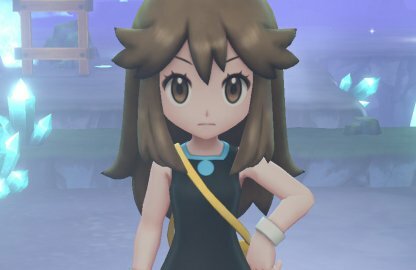 Strength can be used out of battle after defeating Erika of Celadon City Gym while Surf can be used out of battle by defeating Koga of Fuschia City Gym. Seafoam Islands is the archipelago located to the south of the Kanto map. From Route 19, use Sea Skim to navigate to Seafoam Islands. 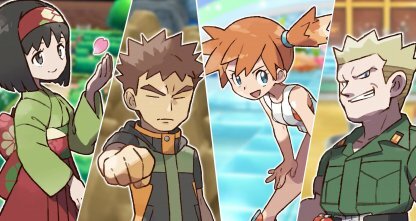 There will be some Trainers and Wild Pokemon along the way. 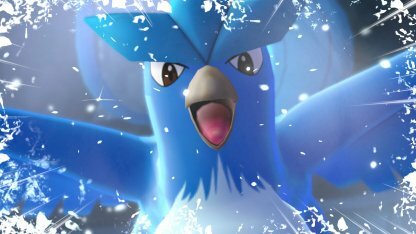 Articuno is formidable at Lv50 and will be tough to beat with Pokemon below that level. 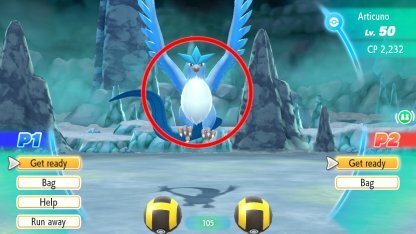 Aim to have Pokemon at Lv50 or higher before attempting to challenge Articuno. Bring as many Poke Balls as you can to catch Articuno. 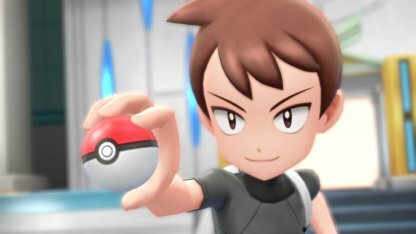 If you have a managed to earn a lot, you can even bring Great Balls and Ultra Balls for a higher chance to catch it. 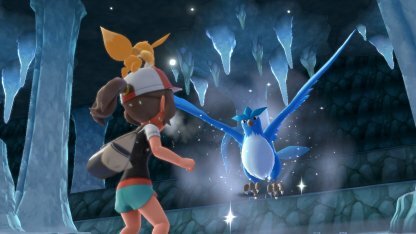 Although these will not be your primary attackers, placing Articuno under Sleep or Stun status can buy you time to deal more damage before it can counterattack. 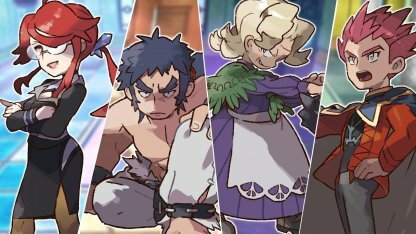 Since hard-hitting moves tend to have low PP, it would be useful to bring PP restoring items like Ether or Elixir to give you additional opportunities to use your moves. Articuno has x4 weakness against Rock Pokemon so these would be your best option for attacking. Omastar Omastar's Rock Slide and Rock Throw will deal major damage to Articuno while Leer can increase damage by lowering its Defense. Kabutops Kabutops also uses both Rock Slide and Rock Throw for dealing damage but it also has Confuse Ray which can cause Articuno to hurt itself. 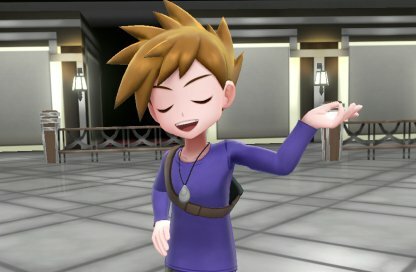 Aerodactyl Just like Omastar and Kabutops, Aerodactyl can also use Rock Slide and Rock Throw to deal high damage to Articuno. It can also cause Articuno to become confused by using Super Sonic. 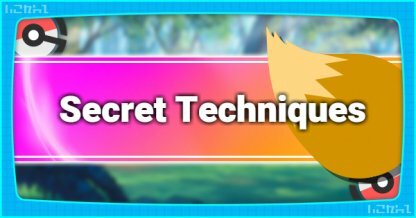 Since the Omastar, Kabutops, and Aerodactly can be difficult to come by, you can also bring Pokemon that deal high damage aligned to Articuno's secondary weaknesses. Moltres Moltres has an arsenal of devastating Fire moves that can deal massive damage to Articuno. 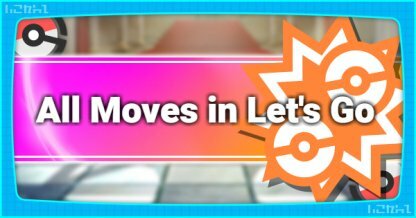 Flareon A Flareon with Fire Spin and Flare Blitz will deal significant to Articuno and Fire Blitz has a chance to cause burn which can further lower Articuno's HP. Machamp A Machamp that knows Superpower and Submission can knock out Articuno's HP in large chunks softening it up for other Pokemon on the team. 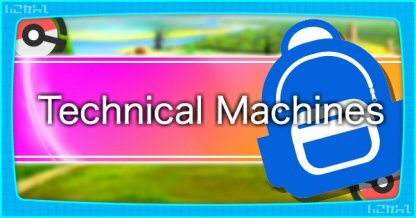 Alolan Golem The Alolan Golem can learn Rock Throw and if you teach it Rock Slide via TM, it can be a significant addition to your team against Articuno.